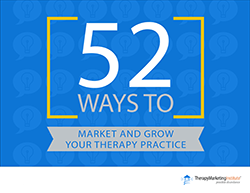 Have you ever wondered how many different ways there are to grow your psychotherapy practice? When I’ve asked this question to my consulting and coaching clients, I typically receive either perplexed answers of “I have no idea!” or wild guesses, such as “100,” “200,” or even “500” or more. First, calculate the number of clients you’ve seen in the last year. Next, figure out the average amount they spend on each transaction or session. Finally, determine how often they purchase from you or how many sessions they attended. A slight 10 percent increase across the board expands your income by 33.1 percent… And, as you can see in the following example, a 25 percent increase across the board would practically double your income! Consistently focusing on and coming back to this simple formula can make creating the abundant practice you desire a whole lot easier. After all, only three things need your attention. And just a slight increase in any of them can lead to dramatic results. Access “The Value Optimization System,” learn how to take advantage of each of the three proven laws of business growth, and implement the marketing and business plan used by almost every successful psychotherapist and business owner! Not a TMI Pro member? Click here to learn more about the Therapy Marketing Institute Today! Using the example above, let’s say an average client spends $100 on each session with you. If that average client sees you for 20 sessions that year, then a new client, on average, means $2,000 of additional income for your practice – and this doesn’t take into consideration the possibility that that client will return for future sessions or refer other new clients to you. Unfortunately, most therapists never take the time to do this simple equation and find out how much a new client is worth to their practice. But YOU should. Its significance is not to be overlooked! Simply that most therapists – in fact, most business owners in general – spend far too much time trying to save money on their marketing instead of seeing it as THE business critical investment that it is. If each new client means an average $2,000 increase to your practice’s income, does it make sense to fret about spending an extra $20 or $50 per month on a specific marketing media or method? If each new client is worth $2,000 to your practice’s income, shouldn’t you be willing to spend $100, $200, even $500 on getting them? After all, spending $500 to make $2,000 (a $1,500 net profit and a 400% return on your investment) is far better than spending $100 or $200 and getting no results! To be clear, I’m in no way suggesting you can simply spend your way to success… You’re likely to go bankrupt much faster. In fact, your marketing is THE investment in the growth and future success of your business. While you need to always be testing different marketing media and methods, tracking your results, and looking to maximize your returns, you also need to know that operating from a poverty mindset and being “cheap” when it comes to acquiring new clients is a sure road to mediocrity and ultimate failure. I apologize if that seems harsh… But it’s true. Since we’re not talking about running a restaurant or car dealership, I’ll refrain from discussing “upsells” and add-on items such as offering appetizers, the wine list, the dessert tray, leather-bucket seats, or a warranty package. However, just because you practice psychotherapy doesn’t mean you’re running a non-profit charity! The easiest ways to increase how much clients spend on each transaction is simply to raise your fees. I’ve already devoted an entire article to this topic, so I won’t go into great detail here (see “Setting Fees: What Most Therapists Don’t Know About Price”). Suffice it to say, if you increase your fees by 10%, you do likewise to your income. If you make $75,000 per year and increase your rates by 10 percent, even without seeing one extra client you’ll increase your income to $82,500. Could you use an extra $7,500? Additionally, I know therapists in the same city with the same size practices charging $100 and $200 per session respectively. It’s possible one therapist is 100% better than the other… but I doubt it. The value of the psychotherapy services you provide are almost beyond compare. How are you presenting that value? Are you getting paid what you’re worth? Do you raise your hourly rate each year? At least enough to keep up with inflation? If not, why not? Psychotherapy IS a unique profession. Unfortunately, this is all too often used as an excuse leading therapists to conclude that they simply don’t have as many avenues open to them when it comes to marketing and growing their practices. But this belief – and it is a belief – is anything but true. Since you obviously can’t encourage clients to attend more sessions than they need, you need to get more CREATIVE about the other types of products and services you offer. Start brainstorming… From coaching services to providing online and offline workshops, from consulting to offering psychotherapy groups, from writing and publishing books to creating online video courses and downloadable worksheets, there is no shortage of additional income streams you can create using your expertise as a therapist that can help you increase your income as well as reach and help more people! Most therapists market and promote their services in pretty much the same way. But, as I’ve said before, you can’t do things the same way as everyone else and expect above average results. You have to do things differently. This means you should always be looking outside your profession for creative ways to market and grow your practice. And the Therapy Marketing Institute is here to help you do precisely this… If you’re not already a member, join us today! 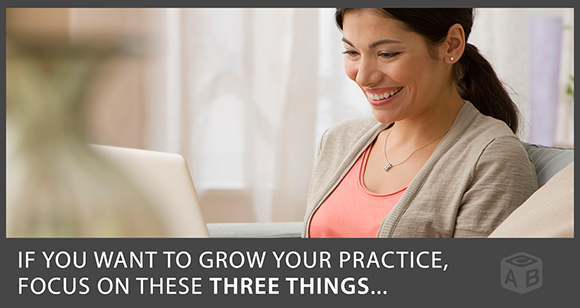 Are you tracking how much a new client is worth to your practice? Are you charging what you’re worth and raising your rates annually? Are you offering other products and services? If so, how are these things working for you? Which aren’t you doing? Why not? Let us know your thoughts and questions below. We look forward to hearing from you! I have maxed out the number of sessions I am able to schedule each month. I am looking for some help discovering what do I do now to increase my income without the ability to increase the number of sessions.I also think that my fee is at the top of the range. I am getting twice the calls that I can schedule. In addition, I am open to expanding my already very successful practice. I just don’t know what to do. While I might challenge your assumptions about how much you can charge per session, as it seems like you’re in high demand (i.e., if you have 20 client sessions per week, then even a $5/session across the board increase would be close to an additional $5,000 per year). I’d be willing to bet that this is easily doable, as it seems like your clients really value you and the work you do. However, even a $10 or greater per session fee increase, while increasing your income, won’t help with the “problem” of having more clients interested in working with you than you can take on. Of course, there are numerous ways you could create additional streams of income on top of your practice (i.e. 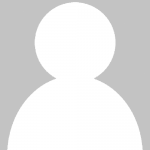 creating online courses, putting together one or more groups, or classes, and so on). But, if you’re looking to increase the number of clients you can help in your practice, then it seems to me the best way to do so would be to add one or more new clinicians to your practice to handle the additional clients who are calling to schedule appointments!